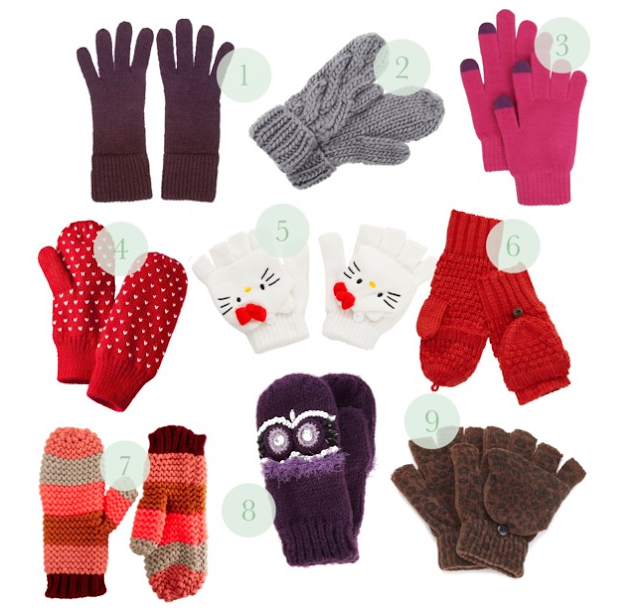 Practical Holiday Gifts: Mittens and Gloves! Know what I think? I think mittens and gloves are the perfect stocking stuffer. We all need them around the holidays, don't we? (Well, us East Coasters do!). Why not warm your hands in style this year? All of these adorable, and warm, gloves are well-priced, and would stand alone as a gift, or be the perfect accompaniment to a box of hot chocolate and a mug. Which would you buy for your best friend/sister/Secret Santa?